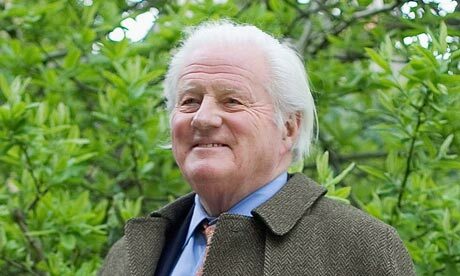 A reminder to you all that John Julius Norwich, who is patron of the Patrick Leigh Fermor Society and knew PLF for more than fifty years, will be giving a presentation at the Hellenic Centre on 10 November. This is a unique opportunity to hear from one of Britain’s greatest historians, and one of Paddy’s few remaining close friends. This entry was posted in Patrick Leigh Fermor Society and tagged John Julius Norwich, Patrick Leigh Fermor Society on October 27, 2015 by proverbs6to10. A couple of dates for your diary from the PLF Society. A daughter and dad act for the autumn. 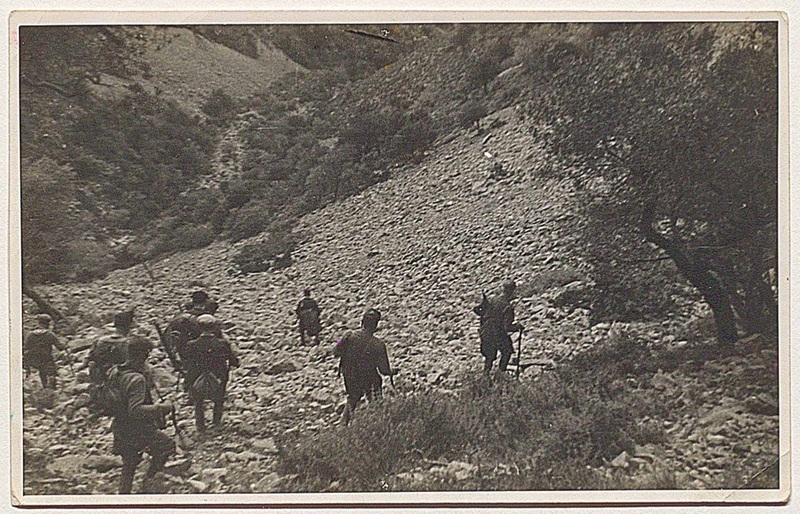 This entry was posted in Patrick Leigh Fermor Society and tagged Artemis Cooper, John Julius Norwich, Patrick Leigh Fermor Society on August 26, 2015 by proverbs6to10. I wonder what John Humphrys will say about Paddy’s house in the programme on Monday? In fact I wonder more what the Benaki will say. I want to highlight a comment on a recent post from Michael Hanson, which if correct describes a property that is falling apart. Given that Paddy probably did little restoration and it has now been four years since his death, during which nothing appears to have been done, one can imagine it must look dilapidated and in serious need of attention. I was in kardamyli recently and visited paddy’s house covertly. It is in a decrepit state, shutters rotten and falling off. Garden overgrown. Totally unloved and a disgrace, given that paddy gave it to the Benaki Foundation to be used as a haven for writers. Hopefully this programme will shame the Greeks into doing something. They say it will cost over £100,000 to restore. Nonsense! We photographed paddy’s child hood public school trunk languishing in his study. Heartbreaking! The PLF Society want to raise funds to cover immediate repair work and you can donate. Read how here. The higher figures mentioned above are not just for restoration and repairs but to cover renovation and reconfiguration to prepare the house so it can be used as a conference centre. The Benaki are due to report In July on whether it has been successful in raising finance for the main renovation works planned for the house which are expected to cost some € 630,000. This entry was posted in Paddy's Houses and tagged John Humphrys, Kardamyli, Patrick Leigh Fermor Society on June 20, 2015 by proverbs6to10. The PLF Society has been moving forward quickly in its dealings with the Benaki over Paddy’s house. Achieving its restoration, and Paddy and Joan’s goal of turning it into a writer’s retreat is one of the main aims of the Society. Today they report on progress and are making an appeal for initial funds to finance critical works at the house until funding for the long-term work has been raised. The Benaki have come up with a plan which encompasses many uses which if achieved would meet the goals of Paddy’s bequest. A summary of the PLF Society’s appeal is below, with further details to be found on the attached PDF. Steady progress is being made on the Kardamyli house. The Benaki Museum has now sent us a document that sets out its plans and we have finalised the team that will look after the interests of the Society and its members: our lawyers Watson Farley & Williams are now supported by an experienced architect and we have appointed Grant Thornton as accountants. You will see from the attached summary that we are now able to proceed with raising 20,600 € (about £15,000 or US$24,000) for preliminary things that need to be done at the house. As the amount of this initial fundraising is relatively modest, we are hoping that it will be possible to raise it from our members and others associated with the Society. In July the Benaki will know if it has been successful in raising finance for the main renovation works planned for the house which are expected to cost some 630,000 €. In the event that some or all of these funds are not raised by the Benaki, the Society has pledged to find the remainder and for this we have made contingent plans to extend the fundraising to include external sources. Read the full initial fundraising PDF here. 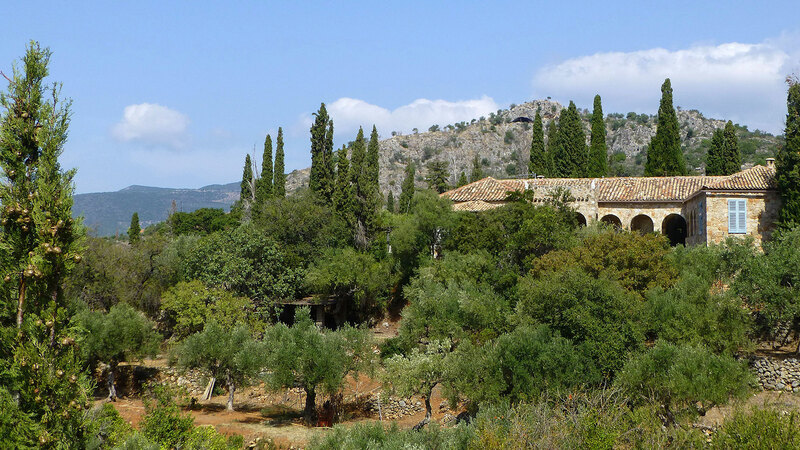 This entry was posted in Paddy's Houses, Patrick Leigh Fermor Society and tagged Benaki Museum, Kardamyli, Patrick Leigh Fermor Society on April 25, 2015 by proverbs6to10.